The village of Elton is about 5 minutes drive from the junction of the A1 and the A605 (from the A1 head away from Peterborough towards Oundle on the A605). 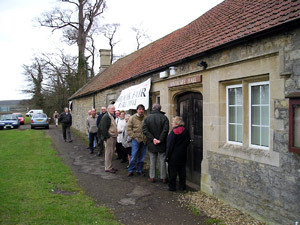 The fair is held in the village hall, which is on the principal street running through the village and is well signposted. There is a car park behind the hall and no restrictions on parking on the road. 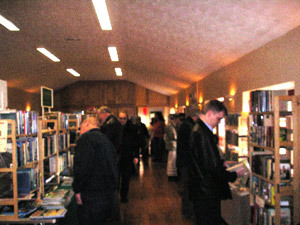 Elton has capacity for 18 exhibitors, some are local, others come from Norfolk, Leicestershire, Bedfordshire and Suffolk. Amongst the wide range of books on offer there will nearly always be topography, fiction, art, illustrated and rural. The fair was started in 1994 and runs 6 times a year. It is also well regarded for its excellent range of homemade food. Choose from a menu that includes: toast, mushroom quiche and chocolate cake all washed down with pots of tea and cups of coffee. There are also 2 pubs with reputations for good food and a Loch Fyne restaurant in the village.